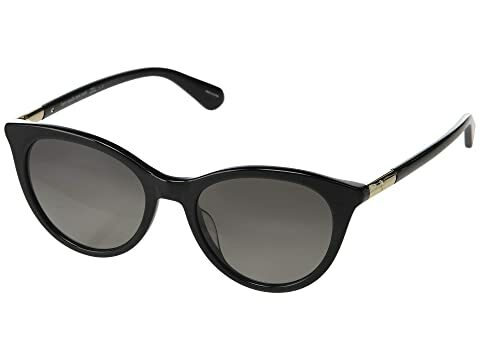 Add a playful element to your ensemble with the cat-eye silhouette of the Kate Spade New York® Janalynn sunglasses. Plastic frame and temple arms. Plastic lenses provide 100% UV protection. Iconic spade brand logo embossed hardware at each temple. Most complementary face shapes: oval, heart. We can't currently find any similar items for the Janalynn/S by Kate Spade New York. Sorry!